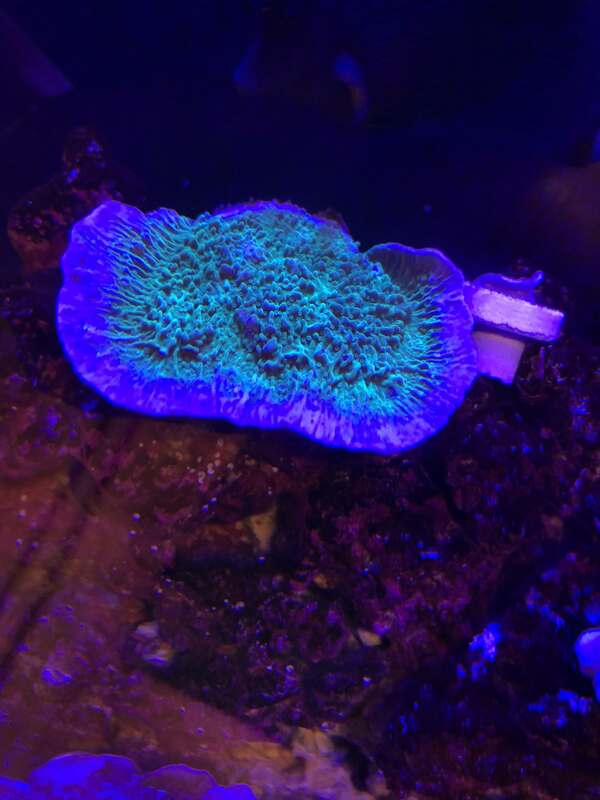 Noticed the edges my the montipora going white, read about white edges relateing to a monti growing but the white edges and alot thicker then what ive seen online. The montipora is around two inches higher than my frogspawns which are opening alot. I dont seem to notice pest and any of my livestock picking on it. The center of the monti is completly green with no patches just the outside edges are white. Not sure about my magnesium and phosphate levels but would those affect the edges of the monti going white? Need a picture that's not all blue.